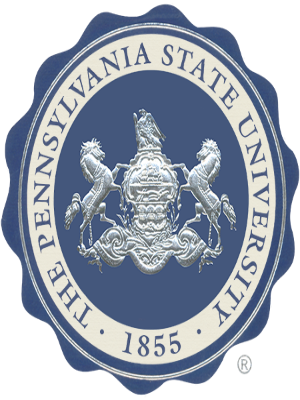 PHILADELPHIA – Due to a lack of evidence to the contrary, a federal appeals court affirmed a prior judgment granting summary judgment to a Penn State University research assistant in a defamation and tortious interference case. Judge Thomas I. Vanaskie ruled Feb. 10 to uphold a ruling from the U.S. District Court for the Middle District of Pennsylvania, granting summary judgment to Dr. Tania Slawecki against Mahender Kumar Trivedi, the Trivedi Foundation and Trivedi Master Wellness (collectively, Trivedi). In 2009, Trivedi became a research subject at the Penn State Materials Research Laboratory under Dr. Rustum Roy, director of the laboratory. The purpose of the research was to ascertain Trivedi’s assertions that he had unique powers to transform the molecular properties of water. At that time, Slawecki was a research associate in the lab, working under the direction of Roy, who passed away on Aug. 26, 2010. In spring 2011, Slawecki posted a five-page article on her personal website detailing the research did not support Trivedi’s claims as to his “powers”. Several months after posting her article, Slawecki sent an e-mail to her colleague, Heather McKinney, and Julie March, a former employee of Trivedi’s. In the e-mail, Slawecki accused Trivedi of sexually abusing and assaulting a 19 year-old girl which required her to be hospitalized, and that he was facing charges for this alleged crime from the girl and her family. Slawecki’s e-mail was shared with other people, outside of its intended recipients. On Dec. 28, 2011, Trivedi filed a lawsuit in the United States District Court for the Middle District of Pennsylvania. In the first amended complaint, Trivedi asserted a claim for defamation based upon the statements in Slawecki’s e-mail that Trivedi had sexually abused women and that criminal charges had been filed against him. The first amended complaint also asserted claims of interference with existing and prospective contractual relationships on Slawecki’s part. However, Slawecki moved for summary judgment and the District Court granted that motion – leading Trivedi to appeal. Vanaskie pointed out for Trivedi to prevail on his defamation claim, it was incumbent on him to prove Slawecki’s statements were both false and made with malicious intent. Further, Vanaskie said Trivedi hadn’t provided clear evidence Slawecki acted with actual malice. Vanaskie said the record showed Slawecki believed the statements regarding Trivedi’s alleged assault to be true, and Slawecki’s regret over the e-mail was due to it mentioning other people’s names and resulting in the instant lawsuit – not due to the nature of its contents. “Because we agree that a reasonable jury could not conclude by clear and convincing evidence that the statements were both false and that Slawecki acted with actual malice, we will affirm the District Court’s grant of summary judgment on count one of the first amended complaint,” Vanaskie said. “Because we agree that Trivedi has not come forward with any evidence to support his claims of interference with existing or prospective contractual relationships, we will affirm the District Court’s grant of summary judgment on counts two and three of the first amended complaint,” Vanaskie said. The plaintiffs are represented by Kathleen V. Yurchak of Goodall & Yurchak, in State College. The defendant is represented by Michelle L. Zhang and James S. Turner of Swankin & Turner in Washington D.C., Jeffrey B. Rettig of Johnson Duffie Stewart & Weidner in Lemoyne, and Steven F. Lachman in State College.